The reference to dotted lines in the earlier reading reminded me of when I was a young child, I loved to play the game connect the dots. There was something satisfying to completing something that is uncompleted. Often it was easy to see what the outline of the dots created (PPT) (although to be honest when we lived in Florida, my children would not have known what this was) but sometimes they are more like a Rorschach test where only after making the connections does it become apparent what the picture is. Life is a lot like that. Trying to connect the dots to figure out how to make things work out. To make things whole, to complete the vision within our minds. We sometimes know generally what our hoped for outcome is, but it doesn’t really come to fruition until we connect with others and the world and make it happen. I think of our Social Justice Team’s Restorative Justice project trying to create a mental health court in Scott County. (story of how our Mass Incarceration Social Justice Project got here – education – connecting with the community and finding out their needs) Members of our Congregation connected with Quad Cities Interfaith, multiple congregations, judges, prosecutors, providers of mental health care, and other mental health advocates among others on our path towards trying to make it a reality. A lot of hard work, but something that we could never do alone. I always look for these connections and pay attention to when and where they happen. I recently felt these sense of connection when I preparing for this service. Each year the Unitarian Universalist Service Committee sends us these boxes called Guest at your table. (We hope you will utilize them – I always empty my pockets of change every night before dinner as a reminder to be thankful that I have food to eat – or you can just write a check to UUSC or go online at uusc.org to donate) The boxes come with something called stories of hope. What I like about these stories of hope is that they focus on something that has already come to fruition. Stories that give hope to others that what we are working towards is possible. Stories that show in the midst of tragedy, hope is possible, if people of courage step forward. There are two stories I want to focus on. The first one is of Catherine Chvany and Alexander Strasser (PPT). This one is particularly touches my heart, and is connected in a small way to this Congregation. Catherine and Alexander were Jewish children who escaped Nazi Europe during WWII with the help of the Unitarian Service Committee. I’ve mentioned it before, one of this Congregation’s previous ministers, Waitstill Sharp, left his position as a parish minister and he and his wife went to Europe during WWII acting clandestinely to save these and many other children as part of the work of the Unitarian Service Committee. This is how UUSC was started. Saving children in crisis. I want you to think about that. How many of us would go today to Syria, let alone the Mexican American Border to help refugees trying to escape certain death in their home countries. I was re-connected to this story during my mentoring and tutoring as part of the The Social Justice Teams At Risk Youth program. It is a program for youth in a lock up facility at the Annie Whittenmeyer Complex. Many of these youth are very smart and perceptive but often come from an unstable family situations. One of the books assigned to them to read was Sarah’s Key. It is the story based in 1941 France when French police rounded up 13,000 Jews including 4,000 children as young as the age of 4 to be sent to Auschwitz to die. It told the story of how neighbors turned in neighbors, and how Jewish homes were looted and taken over by their fellow country people once they were sent away. Also not to be forgotten is the story of a family who takes in the protagonist of the book and shelters her at risk to their own lives. In a letter Sarah writes Zakhor, Al Tichkah – Remember, Never forget. Yet to be honest, this story of the French rounding up their neighbors was one that is not taught in French Schools let alone American Schools. It is easy to forget what we do not know. So we must become informed. And although we may say well that is Europe we would not do that here. I want to remind you of two things. First, we could have saved many more Jews from the Nazi’s ovens but we refused to take them in. And second, it did and does happen here in America. It came to light recently that certain schoolbooks called Africans who were enslaved workers, not slaves. It is very easy to forget the long history of what we have done to our neighbors. People we identified as others just as many French considered the Jews others. Indigenous People whose land we conquered, African lives stolen into Slavery that propelled wealth to many in this country. Child labor which was common in this country until labor abuses became so widespread that the people connected with each other and worked and sacrificed to create change. So just like the French, in our history, right in front of our eyes, people living amongst us, sent away, killed, enslaved. And we could say well that was a long time ago. But I will tell you that for the last 30 years, we have been arresting and imprisoning a disproportionately large number of young adults of color for minor non violent offenses. Just as Jews were forced to live in ghettos, this mass incarceration has led to ghettos where the cycle of poverty are continuing due to the breaking up of the family and economic distress caused by incarceration, and the cutting back of resources and opportunities for poor people of color. And just like the Jews, when they are arrested for drugs, we loot them by taking away their assets and their homes. That actually is the law in this country, just as it was the law in 1942 France. Just as slavery was the law, just as segregation and discrimination was the law prior to the 1960s. Today, we are locking up parents and children, our neighbors, people who have lived in this country for years, we are taking them out of their homes and placing them in detention centers. Merely because the parent was not born in this country. It’s the law. Its legal. Locking up innocent children is legal in this country. These people came here just as my grandparents came to America fleeing persecution, hoping for a better life, but then we changed the law to make it illegal and by so doing we are condemning people to prison and death. We sit here and allow this to happen. Which is why I want to focus on the second story of hope. (PPT) Lilian (the same name as my immigrant grandmother) and her 8 year old son Jose who were trying to escape the violence in Honduras and were arrested and put in a private detention center for ten months. “Ten months of inadequate medical care and malnutrition. Ten months of abuse and the ever-present threat of solitary confinement in the “cold room. ” Ten months of living with the fear of sexual assault by the guards. fellow prisoner and drove Lilian and other women to go on a hunger strike. There was a sense of hopelessness. But UUSC entered the picture and partnered with a non profit legal organization that helps refugees and now Lilian and her son are living with family members in New York. With knowledge, with courage, we can act to help people change the course of their lives and that is what the Unitarian Universalist Service Committee does. They provide active and sustainable help to people in crisis. And by so doing we create through actions hope to the seemingly hopeless. And such hope builds upon itself. For once we and others see it happening, it gives us hope that we can do something to help. Hope is not some blind optimism where we close our eyes to the world’s problem and wish upon a star. No Hope is a theological premise based on our inner sense of compassion for other human beings, our awareness of our capacity to heal others, and our faith that even knowing our history, we can learn from it and not turn away the next time they come for our neighbors. And when we ask who is our neighbor, it is the youth at Whittenmeyer, it is the single parent from south Chicago, it is the family in Hondurus, it is the Syrian refugees. They are all our neighbors, we are all one, we just need to connect the dots. Let us not close our eyes to suffering. Although the journey may be hard Let us take one more step on the way to creating hope in our lives and in the lives of others. Though our own lives may be troubled, let us connect with and walk one more step in another’s shoes. Though the heart may be fearful, let us take one more step and be harbingers of a new better day for all humanity. May it be so. What does it Mean To Be A People of Ancestry? History has been an important part of my ancestry. My whole life I was raised to remember the sacrifices that generations upon generations of my family had made so I could be here today with the opportunities I had. I was taught to never forget. When I was young that seemed like such a large burden and its weight almost crushed me. As I grew older, I did not use the word burden because of its negative connotation. But I recognized with awe and appreciation the responsibility I have to live my life fully with meaning and in my own way of expressing it. I think we sometimes feel that in order to honor someone we have to follow in their footsteps or do things exactly like they did it. Personally and Religiously, I am from a family of tradition breakers. The fact that my family came to America was a break from their own tradition. My grandfather going to public school vs. religious school was a break from family tradition. My parents retiring early and travelling the country in an RV in their retirement was tradition breaking. My becoming a Minister was a break in tradition (and sanity in some of their minds). My life is built on the ancestral foundations of ethical principles, daring explorations (personally, professionally and religiously) and a commitment to justice. I hope to build upon those foundations. We honor our ancestors because without them we would not physically be here with the opportunity to do whatever it is that we are called to do. But not all our ancestors are familial. Sometimes our ancestors are those who help us understand why we are here and what we are called to do. I think of the people who over the years created and sustained Unitarian Universalism, and this Congregation as my ancestors as well. Without them, all of them, good bad or indifferent, I would not be with you here today. I also think of as ancestors, all the many wise people across the millenniums whose wisdom and actions have helped inform my life and my values. When I think of all the events over the history of time that had to happen to lead me to where I am today it is almost unimaginable to fathom. With the wonder of my existence in mind, perhaps the perspective of burden and responsibility need to change. Perhaps this history, this ancestry is a gift and blessing that I have received. Just like flipping on a light switch, thinking of it as a gift lights up my heart and mind and lightens the weight on my shoulders. What am I going to do with this precious gift of a life that only I could experience. What are you going to do with your precious gift of life that only you can experience and that led you to read this article? May it be something meaningful. I just finished re-reading this play for the first time after seeing in some off-off Broadway production over 30 years ago. It tells the story of Russia on the brink of revolution in 1906 as capsulated in the tension of a strike by workers at a textile factory(?) owned by the wealthier class. Although it spoke specifically about class warfare vs. race issues, I think the play still makes some fundamental points that are relative to the tensions in our society today. What struck me about the play was that its reference to enemies was not so much between the classes (although that is implied) but among the wealthy class. One of the wealthy class laments how the workers are united and trust each other. She goes on to say “We live like enemies, believing in nothing, bound together by nothing, each for ourselves” This speaks to me of our ongoing culture of competitiveness and our constant worry and need to maintain our advantage in the world. This to me is one reason why we come together in religious community. To be bound together (the actual meaning of the word religion) to determine what we believe about the big questions of life. And so it raises the question for me, what do we really believe in regarding justice? Are we committed to it? My religious journey has led me here. But if we are not bound together in this, and bound together with the communities in need, then in the end it is just a self serving position to make us feel better about ourselves and more comfortable in our place in power. If we really believe in justice we must be willing to commit and to sacrifice. In the play there is a young wealthy liberal Nadya who is revolutionary. The older wealthy people find her insufferable and naïve, but the workers themselves do not bring themselves to trust her either. As she is questioning her place in society, the stoic actress Tattiana says “If your going to ask yourself questions, you’ll end up a revolutionary.. and founder in that hurricane “ Nadya replies “One must be something, one simply must. One cant live ones life gaping at everything and not understanding anything” Its true, if we question the status quo, we must become revolutionaries. In small and large ways. Just by becoming Unitarian Universalists, we are questioning the status quo of our religious society. Why do we stop there? It also shows the need to support our youth and young adults in their journeys so they will have the courage to find their own way and not left vacillating between boomer morals and the reality they experience in the world that differs with those. The play clearly shows the privileged class’ lack of self awareness in addition to their lack of awareness of the workers experiences. There is the bias that workers are different and have a lack of sophistication. It shows the juxtaposition of the co-managers of the plant, one a hard conservative who believes the workers need to be kept in their place and the liberal who would like to accommodate the workers, but can never see the workers as partners or equals (even to sit and have tea with). In the end those in power utilized government power to quell the strikers. I think the differentiation between conservative and liberal wealthy is intriguing and speaks to human nature. The conservative wife says “I like everybody to be well defined, I like to know what a person’s after. I think people who don’t know exactly what they want are dangerous, not to be trusted” This speaks to the most basic question of how we deal with uncertainty. Are we so willing to maintain certainty that we are willing to limit ourselves and harm others? Or are we willing to risk the certain for the possibility of living a meaningful life where our actions match our values. The play also showed that the workers were just as morally ambiguous in utilizing power by sacrificing an innocent worker for the great good and murdering the conservative manager of the plant.. It is a reminder to me that it is not our intentions, but our actions that need to be held up to our values. In the end, we know that Stalin came to power and pitted workers against each other creating fear and distrust amongst each other. Our country as well has also used race as a way to divide the common interests of all poor and working class people. We must be wary of those in power separating people via competing oppressions. We don’t all have to be friends, but we most certainly must not be enemies. And if we have the courage we will use our power to shape a more just future. I just received an email from someone thanking me for advice I gave them many years ago when he was thinking of starting his own business. The advice I gave (which I once received from someone) was to cut off all the lifeboats. For if you run in to trouble, (and you most certainly will run into trouble at some point.) you will jump in the lifeboat. But if you have no lifeboats, you will be forced to figure out a way to make it through the trouble. In other words, we must go all in, in whatever endeavor we are pursuing and pursue it with everything we have. I am glad I picked up this play to read. It obviously got me thinking!! The postlude today will be Let it Be by the Beatles. I have to admit growing up although I liked the Beatles but I really hated this song. I was sort of the anti-let it be person, I didn’t want to let anything be. I didn’t want to react to the violence that happened in my community with let it be. I didn’t want to react to the hopelessness and despair in the hearts of people with just let it be. I didn’t want to react to what was being given to me as religious truth that I disagreed with and to just let it be. This was the 1970s and I was as many of you know more of a Bruce Springsteen kind of guy anyway. This was written at a time of urban decay and when there were diminishing public services, increasing poverty, heightened racial tensions, and the beginnings of the War on Drugs. Events that all seem to reappearing in our society today. The streets were on fire. Literally, during the 1977 World Series, with Howard Cosell announcing the game (PPT) the camera pans to the surrounding neighborhood of Yankee Stadium and it shows buildings burning, and Cosell in his calm nasal voice says “Ladies and Gentlemen, it appears the Bronx is burning.” And when people live in a chaotic environment they want to determine what is real and what is illusion. We tend to view the world only through the lens of our own experiences. So it is important for our lives and yes even for the life of the Congregation to be able to step back and look at our experiences and see what is driving our decisions. I didn’t want to just sit back and let it be. I wanted to change the circumstances of my life and I did. Or I should say the circumstances of my life gave me the opportunity to see the world in a different way. And each time that happened I had to let go. To let go of old beliefs, of old biases, and of old ways of being. And yes there is loss that comes along with that. Loss is a part of life. In order to grow sometimes we have to lose something. Sometimes we lose supposed friends when we decide to change how we are going to live our life. Sometimes we lose our jobs when we choose not to be silent about unethical behavior, sometimes we even have to lose our way in order to find our way. Sometimes we don’t know how it is going to turn out. I wrote about this in my newsletter article this month about when I bungee jumped. The idea seemed good on the way up. But when I had to pull the pin in order to jump, I hesitated. I Knew it would be embarrassing to not go through with it, but I am ok with embarrassment. It was the unknown of what would happen once I pulled the pin. I imagined the ropes would not work and I would plummet to my death. It was fear that was holding me back. I had to trust that it would work out. And once I pulled that pin, I had such an exhilarating feeling. A feeling of freedom. We are a community of seekers. We explore new understandings and new ways of being as new information becomes available to us. And new information is always available with each new experience we have. And yet despite being progressive theologically we are very conservative and resistant o organizational change. Sometimes when you are in community and you are committed to a community, in order to grow we have to let go of longing for how things always were, whether that be how many services we have, or a certain kind of music or a certain way of operating. And by letting go, we can find new ways of being that we never could have realized, and more importantly we allow others to find their way in our community. And so the title of the service comes from a zen proverb let go or be dragged. Change is going to happen. It is inevitable. The question is are you going to embrace it, and support it, or are you going be dragged kicking and screaming, and if we are dragged we slow down the inevitable. If we are dragged we slow down and possibly damage the possibility of what could be. If we are dragged, we will drag down others with us and prevent them and us from realizing their true best selves. So let go of the trapeze, and live in that land of uncertainty and let us as well be on the other end of the trapeze ready to catch each other, and to make room for each other so everyone can find their way. And so I wondered as I came upon this service, could I let go. Could I let go of my old interpretation of the song Let It Be. And I did. In the lyrics it says “when the broken hearted people living in the world agree, there will be an answer, let it be” In fact throughout the song there is a constant refrain, “there will be an answer.” I always took it to mean that the answer was let it be. But as I listen to the song today, I hear, there is hope, there will be an answer some day, that when we all come together, (for we are all in some way broken hearted) when we come together through all the differences and darkness and uncertainty, that day we will find our way, that day we will shine in the darkness, and take that leap of faith on the trapeze and give ourselves the opportunity to let our best future be. On that day we will let it be. To let our best future be, we need to think and act strategically with a long term vision. One group of people in our organization has exemplified this. Our grounds team have been stewards over the land we sit on and as well worked with other teams in our Congregation to help our Congregation towards fulfilling its mission. I would like to invite up _________and _______ who will be sharing and showing our appreciation for those who work on the grounds. So for those who do not have children or grandchildren and may not be familiar with the song we just heard, that was Let It Go from the Disney Movie Frozen. I say that because if you lived around children the last two years it was impossible not to have heard this song. The storyline includes of course to no surprise to anyone who has watched Disney movies, the death of the lead characters parents. I find it very curious if not disturbing that this is a common thread throughout many Disney movies. But also like many Disney movies the story has a great message. The main character Elsa has special powers and can makes snow and ice. When she is young and innocent she is free and creative with these powers, but early on she accidently hurts her sister with them and for a long time she thereafter stayed alone in her castle and stopped using them for fear of her inability to control them and possibly hurt someone. Of course as circumstances happen she is forced into the public eye and her fears did lead her to lose control. So the first message of the movie is not that we should control our power but we should control our fears. When we act with fear, we tend to make poor decisions. As I spoke a couple of weeks ago, fear is a real emotion and we should acknowledge that, and there are things to fear. But that is different that acting from a place of fear. By denying our fear we make it manifest itself in negative ways. By acknowledging it and even welcoming it, we can walk with our fear and not let it paralyze us. Like most mythic hero journeys the protagonist after denying their call must leave home to find their true nature and their destiny. When Elsa is outed as someone with this power she ends up leaving and embracing her power and letting go of her previous fears. But in truth Elsa has traded one form of isolation for another. She has embraced her powers but still isolates herself from others for fear of hurting them. Yet it is her very absence that actually hurts others. She comes to learn that only through being open with others and with an unselfish love can we thaw an eternal winter and make a break through. I think this story is a good metaphor for Congregation Life as well. Because we often each have our own spiritual journey, it is easy to isolate ourselves from others who are on different paths. But I want to say that just like Elsa, despite each of your awesome and unique powers, when you are absent from our presence that hurts us as a Congregation. We have started to see what we can do. We are testing our limits, but like Elsa we need to break through the doors that hold us back. For as Elsa also says love is an open door. Doors are a great metaphor used often in this movie. The doors to the Castle are closed when she is in hiding, and in the end when she witnesses an unselfish act of love she states the doors will stay open forever. That is how I feel about our Congregation. Our doors need to be open to whoever wants to explore the big questions of life and wants to covenant and be a part of our community. We provide many opportunities for people to embrace their individual search for meaning as our mission calls for. But as I said earlier at some point we must come together and be together. If we truly believe that our doors are open and we welcome people with loving hearts then we have to be here to love them when they show up. And we actually have to love them when they show up. I do not use that word love lightly. I know that is not always an easy thing to do. To go beyond yourself, to look beyond one’s own parochial interests, to walk with others on their path even if it is not our own. So I am asking you whenever you can, to show up, to show up with love in your hearts for everyone who walks in here and to show up with love in your hearts in every interaction that you have. When we let go of the trapeze, let us be here to catch each other. Whatever it is that is holding you back from being your best self, let it go. lighting a new way for us into a better tomorrow. Let us let go of our fears and be free to create not destroy, let us let go of ties that hold us back and let us discover our untapped potential and let us let go of the trapeze and greet the unknown with love. When I think of the word invitation, the first thought that pops into my head revolves around being invited or not being invited to someone’s party. When I was a child and had birthday parties, I remember my parents told me I could only invite so many friends. Of course it is always an alienating feeling when we are not invited to something, even if we don’t want to go to it. And that should sensitize us to not wanting others to feel alienated. But it is important now that we are adults to consciously think about who and what we invite into our lives. I know this may sound strange, I always remember in stories around vampire there is ongoing motif that one must first invite a vampire into your house before they can come in. Once in, they can come and go. We see this in the classics like Bram Stroker’s Dracula, and more current movie/television shows like Lost Boys or Buffy the Vampire Slayer. In the vampire series True Blood there is the concept that you can disinvite a vampire from your house. I think this is interesting, especially in comparing it to the Jewish and Christian Scriptures. In each of the Scriptures there is story after story of God inviting the Jewish people into covenant or people inviting Jesus into their homes. When we tend to look beyond this world, to explain why there is suffering, and why there is such beauty, even when we are intentional in exploring this mystical strain of thought within, it is centered in invitation. I am not really sure what the vampire thing has to do with this other than that is what rose up in me when I started thinking about this topic. And I try to pay attention to what rises up in me, and encourage us all to that. To pay attention to what is happening in our minds and in our lives. Now vampires were not as popular when I was young as they are today. I guess it goes in cycles. But I remember when I taught youth religious education I would ask the youth why they had such a fascination with vampires and the answer was eternal life. That if they were vampires they would be powerful and could have eternity to figure things out. So to me that was a call to make our youth feel empowered just as adults are empowered in our religion and it is something that is an important part of our youth religious education program. To be and to grow. There is so much more to know about ourselves and about others. Yes even ourselves. To explore why we are like we are? 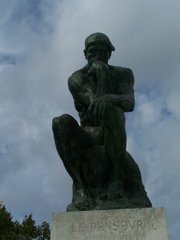 To explore why we think how we think. Why we became searchers and finding a community that embraces that search. And committing ourselves to a pluralistic multicultural vision of the world requires us to learn about others, so that we can find not only find the wholeness within ourselves but the wholeness with ourselves and others. I love the vision of an iceberg in how we view the world. From most of what I could find at least on google, I admit this is a google fact almost 90% of icebergs are underwater and not visible from the surface. (PPT). Now think about yourself. What % of who you are and what you believe is visible to yourself let alone others. So much is below the surface. Just as in this picture, norms, leadership styles, concepts of fairness, learning styles, body language, etiquette, all of these and many other social constructs are affected by where we lived, when we lived, with whom we lived with. The one that came to stark awareness for me when I was in seminary was the concept of time. Now I was always raised with the strict rule that you should always be 20 minutes early to wherever you are going. But one of my instructors was from a different culture, and in his culture, you waited until the last person showed up before you started no matter how late they were. This caused a lot of friction at first between us until we deepened our relationship and we were able to explain our frustrations with each other. And how we breached this gap in cultural differences, was to create a covenant with each other. Covenants are how we agree to be with each other despite our differences. We as Unitarian Universalists are a covenanted people. Because of our pluralistic theology, because our search for truth, we may have many different ideas of how to be in religious community together. We come from many different cultural and religious backgrounds, and due to that we covenant with each other with love as our foundation. We invite each other into dialogue, we invite each other into deeper relationship. And that takes time and commitment to do so. So I formally invite you do so. We had our new member ceremony today and in which we covenanted with each other to be open to each others unique gifts and perspectives. In order to do that, I invite you and every other member no matter how long you have been here, I invite you into deeper relationship with the Congregation and with each other. At this time in our Congregation, in addition to our ongoing programs we are starting three new programs to give you the opportunity to go deeper. This Thursday, we will be starting our year long monthly Soul Matters Connection Circle to discuss this very topic of invitation, you can determine whether you want to discuss the vampire thing more or not…. the following Monday we will be starting our Sacred Texts exploration, and then on Tuesday the Oct 13th Adult RE and Green Sanctuary programs will be leading a three week class on the Pope’s encyclical on the climate. There is much to learn, there is much to do. But first we should again be reminded of Emerson’s call to be and to grow. And so I invite you find some silence, some stillness and some space in your life to hear the invitation. The invitation that is calling to you and only you. In our meditation group on Tuesday Nights, we sit for 20 minutes in silence. And although we stay focused on our breath, it is natural that during that time things that are within us rise up within us. So invite you now to just take a minute or so of silence right now….and silently ask yourself, in the deep well of your soul, what is calling you. Don’t judge it, don’t rationalize it, just listen for a moment. So if you are willing close your eyes and take a deep breath (silence)…..Now as we come out of the silence, I encourage everyone this week to take the time to do some discernment and invite into your consciousness that “still small voice” within that is calling to you. Listen to it. I invite you to be true to yourself, for it is only in being true to yourself that you can be authentic, and thereby be in authentic relationships. When we connect our inner values and desires with our action in the world, we find authenticity leads to wholeness in our lives. And when we invite authenticity in one part of our lives, it often translates into the many aspects of our lives. Such authenticity leads to fulfillment. So whatever it is that may raise up in your soul, I invite you to explore. Whether it be sorrow or joy. I invite you to touch the centre of your sorrow, for we each experience loss and sorrow in our lives. Let us not suppress it. Let us befriend it. Let us explore it. Let us go deep underwater and understand that sorrow for it will always be a part of us and we need to learn how to live with it. I invite you to dare greatly to meet your heart’s desire and find joy. Even with the sorrow in life, we can find joy in every moment if we look for it. Whether it be in the laugh of a child, the changing of the color of the leaves, the conversation with a old or new friend, or the Mets winning the National League Eastern Division. Take comfort in every joy large and small. I invite you to stand in the centre of the fire with me. This is an invitation to create a vibrant welcoming, diverse Congregation. It is also an invitation to seek out injustice in the world. It is easy to stick one’s head in the sand and lose ourselves in TV and sports and fiction. There is a time and place for everything in the world including those, but I invite you to participate in the world, not be a mere spectator. If we are to grow as human beings as a Congregation, and as a society, and have our values lead the way, it cannot be just for ourselves, it must be for others as well. When I was out at Fall Pride Festival this weekend with our LGBTQIA Social Justice Project, I was remembering a time when people due to their sexual orientation had to stay hidden, and were oppressed and suppressed and I remember a time when people were left alone to die of AIDS. And although there is still more work to be done and attitudes to change to create true equality, we now have marriage equality as the law and we have drag shows in LeClaire Park and we have openly Gay, Lesbian and Transgender Ministers in our Association leading Congregations things that were not possible for a long time. And it happened because somewhere a long time ago someone had a vision and asked why not. And Just like some today are uncomfortable with the Black Lives Matter Movement, 40 years ago people in our Congregations were just as uncomfortable with the emergence of the LGBTQIA movement. But strong leadership and a commitment to our values led us to where we are today. With that in mind I am also proud to be working with our members and newcomers from our racial justice project along with others in the community on creating a mental health court in Iowa as an alternative to prison. When some people said no it couldn’t be done, we kept asking why not, and we kept at it, until now it seems like a possibility. But we cannot rest. There is more to be done. And I invite you to do what needs to be done. Robert Kennedy said, “There are those that look at things the way they are, and ask why? I dream of things that never were, and ask why not?” I invite you to think about what are your dreams? For yourself, for the Congregation and for the World, and then I invite you to ask why not? I Invite you to create a clearing and to find where your passion and a great need in the Congregation or the world meet and take yourself there. It maters what you do. May it be so.